Last time I was here I told you about something that recently happened--a dognapping that appeared to have resulted in a murder. 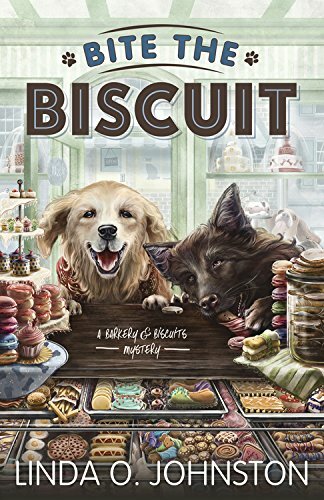 A murder that I had to try to solve since it involved a new friend, Janelle Blaystone, who's now my brother Neal's main squeeze and also works as one of my assistants at my dual shops: Barkery and Biscuits, for healthy dog treats, and Icing on the Cake, for tasty people treats. Anyway, as I did when I was a murder suspect, which was documented in Bite the Biscuit, I wound up trying to clear Janelle. The new book that describes my latest adventure is To Catch a Treat, and it was officially published on May 8. The thing was, I had to get involved for another major reason, too. The person who was murdered was an alleged dognapper. Janelle, who's also a photographer, had come to our town of Knobcone Heights not only to mourn the loss of her beloved dog Go after a dognapping at an L.A. dog park, but because she thought she knew who'd done it: Ada Arnist, whose family has ties to our town. Sure enough, Ada showed up here. Even more important was that Janelle found Go here, too. Were the two occurrences related? It certainly looked that way. No wonder Janelle was considered a suspect. Ada might not have deserved to be murdered, but she certainly deserved some punishment for apparently having stolen Go. But I believed in Janelle. Neal believes in her too--and more. Plus, I'd previously been in the position of being unjustly accused of a murder. Consequently, I did in fact get involved again. The result was the story that's documented in To Catch A Treat, which was written by the same person who wrote about the first murder I solved, Linda O. Johnston. I certainly hope this is the last time such a terrible event as a murder occurs in Knobcone Heights. Well, let's just hope nothing like that ever occurs around here again. 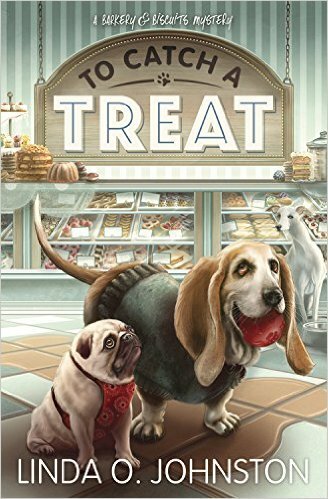 TO CATCH A TREAT, now available, is the second Barkery & Biscuits Mystery by Linda O. Johnston. And yes, there are more to come.